More often than not, Dimaryp is seen in a set of Ornate Legion Plate armor with the sigil of a blazing sun on the chestpiece and embedded gold intertwined throughout the plate. On his back is a Cross-Shield and sheathed behind it a glorious sword that beams with golden light. His chocolate brown hair shines in the sun and compliments his matching eyes. Dimaryp is often seen with a smile or smirk on his face or a glazed-over look with bloodshot eyes most likely due to the ornate pipe often seen hanging from his mouth. Dimaryp is generally easy to get along with, however he has a bit of a short fuse with laziness. He sometimes begins ranting about Odin's teachings whether people want him to or not (usually the latter). He is extremely laid back when not in combat, unless something rubs him the wrong way. In combat, however, he could not get any more serious. Often times he is seen not blinking for minutes due to extreme focus on the task at hand. Originally hailing from Morroc, Dimaryp's father left home on his trade caravan shortly after his wife's death when Dimaryp was only a small child. Dimaryp grew the rest of his life in Prontera, working as a merchant under his father as he would admire the Paladins of Prontera from afar. One day while running amuck in the woods, Dimaryp found a nest with a dying elder Peco Peco. He noticed an egg next to it and decided to raise the Peco Peco himself since the Peco Peco would surely have died without the care of its mother. 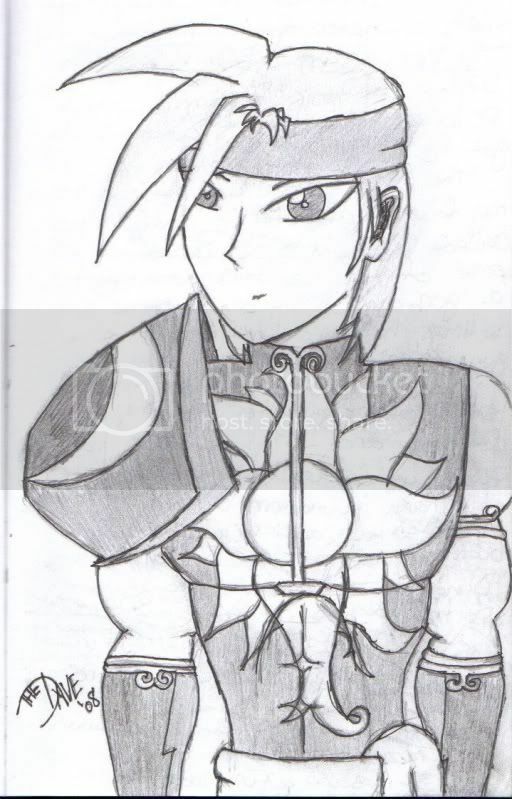 Dimaryp soon became a town guard of Prontera. One day, he was on patrol and recieved a vision of the god Odin. Ever since that day, Dimaryp's demeanor and will became ten-fold gaining the dedication required to fuel the god's holy wrath. Dimaryp is often confused for a Paladin of Prontera, but most assuredly is not. Opinion: Dimaryp met Luko when he was just a boy with a Peco Peco Egg. The two have bonded so close that Dimaryp considers Luko and himself pratically the same person. Dimaryp often trudges into houses and buildings on Luko's back if there's enough room. If Luko is ever unwelcomed somewhere's Dimaryp feels he is unwelcomed as well. Opinion: Dimaryp always looked up to Piaras when they were growing up, seeing him as the brother he never had. Though he sometimes feels Piaras' methods are a bit rash, Dimaryp would most assuredly die for his best friend if the need came down to it. Opinion: Ever since Piaras arrived with a Zealotus, Dimaryp has been a bit weary of her presence. Despite this, he finds her 'control' over Piaras amusing and can't help but admit that she is definately easy on the eyes. Opinion: Dimaryp has only met Basile a handful of times and for the most part finds her to be an intriguing indivual. However, Dimaryp finds her use of summoning servants to be lazy and has had a bit of a bout with her in the past. Dimaryp is trying to look over this hurdle and hopefully gain a new friend, however his bluntness seems to be getting him in trouble. Opinion: Dimaryp finds Irith's pep for adventure refreshing. As the newest member of the Emperium Skyguard, he has grown quite fond of the Treasure Hunter. Opinion: Dimaryp hasn't had much time to get acquainted to Paro much, from what he has seen, Paro is definately a shifter of forms. Most decidedly the quiet type which makes Dimaryp a little unsure.